Geologist, with professional experience since 1986. Additionally, she has significant experience in the supervision, control and monitoring of geotechnical works as well as in the planning and execution of in situ tests during construction. Her experience also covers planning and supervision of onsite quality controls during the different construction stages of various projects. 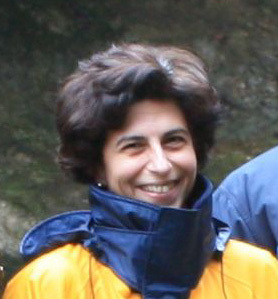 She has participated in the design of numerous geotechnical, geological and geo-environmental studies and surveys, which cover a wide range of private and public works of any category (sanitary landfills, biological wastewater treatment facilities, industrial and building projects, port works, roads, hydraulic works, environmental projects, landslides etc. ).